No matter what form of catastrophe strikes the people and homes of the area, our masterful disaster restoration Fayetteville technicians with 911 Restoration Fayetteville are here to take on the challenges and bring property back to normal fast. Our technicians know that no matter what kind of crisis happens that affects the home or business, the best way to make sure it is limited in scope is to show up to start work immediately. To provide this to our emergency clients in need, we make sure to arrive within 45 minutes so that we can get straight to work. 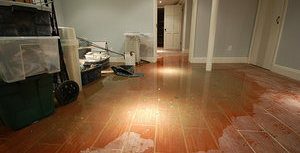 In addition to our ability to be at the scene of the damages quickly, we are also available 24/7/365 so there is nothing to stand in our way of saving your property from disaster. 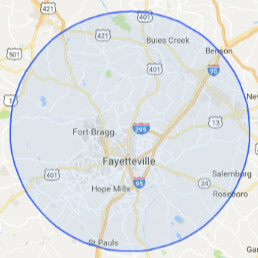 If your home or business location has already recently been through such a situation, then contact our disaster restoration Fayetteville team with 911 Restoration Fayetteville for immediate solutions today! No matter what kind of disaster might take place in the area, our experts are well versed in how to eliminate it effectively, but they are also contacted frequently for help to prevent these times too. Make sure to trim the trees that surround your property so that if there is a major storm that dead limbs and weak branches don’t impale your roof line. Take the time to inspect the pipes around your home to spot any corrosion, rusting, or dripping that might mean you are about to experience a burst of water damage. Clean out the gutters on your roof at least once a year to make sure that you don’t run the risk of having a clog that can turn into an overflow which might ruin your roof and attic.. Replace any missing, damaged, or misplaced shingles or flashing on your roof so that you can remain completely protected if a heavy storm rolls through. Don’t ever place anything into a plumbing system, especially a septic field unit that it was not specifically designed to handle. These are some of the more common forms of disaster that occur in homes and businesses and how to prevent them, but there are plenty of other ways too, so if you have questions give us a call. If your home has recently been through a catastrophe of some sort, then contact our disaster restoration Fayetteville experts with 911 Restoration Fayetteville for relief today! There is no type of catastrophe that our specialists can’t handle with ease, including giving people in these situations back their peace of mind. When our technicians take on a project we make sure to always put the customer first through every phase of the crisis. We make sure to walk out customers through every aspect of the restoration project process so that they can feel completely connected to their restoration as they do with their home or business. Moreover, we also make sure to help all of our clients out with all of the insurance paperwork involved in these times so that they can take some of the stress away from the situation. If your home or office has recently been through a catastrophe of some sort, then contact our disaster restoration Fayetteville experts with 911 Restoration Fayetteville today!